What Not to Miss in Maui! The beautiful island of Maui offers a vacation with fewer crowds than the neighboring island of Oahu and more activity than the peaceful island of Kauai. Maui is the perfect combination of tranquility and activity, with breathtaking landscapes and outdoor adventure. Food: Food is a big part of a vacation no matter where you go, so we’ve narrowed it down to our top 6 restaurants we hope you will also love. 1. Mama’s Fish House – Get ready to eat some delicious sea food while watching the waves kiss the coastline. 2. Merriman’s Maui – A couple’s dream of a restaurant and the perfect place for a dolled up night on the town, eat picturesque foods and enjoy the outside waiting area with comfy couches and the nearby sound of ocean waves. 3. Paia Fish Market – If you can’t get enough seafood and need another option besides Mama’s Fish House, this is the place to go. 4. Lahaina Grill – Steak, seafood, and Hawaiian cuisine await. 5. Da Kitchen Café –Nothing says Maui like traditional Hawaiian food. 6. Flatbread Company – Mouthwatering, wood-fired pizzas are a must for any pizza lover. 1. A day at the beach: You can’t go to Maui (or any Hawaiian island for that matter) and not go to the beach! Ka’anapali Beach, although busy and for good reasons too, is the main tourist beach of the island. Its beautiful soft sand and blue waters is a perfect place to enjoy some much needed R&R. Ho’okipa Beach Park may not have the sand you were looking for, but the lava rocks and dynamic landscape is quite enrapturing. 2. Wai’anapanapa State Park – Camp, fish, or beach it, you got it. With a volcanic background, this is an opportunity to witness extraordinary beauty. 3. Road to Hana – On this road, there are many hole in the wall pit stops like Twin Falls, Seven Sacred Pools, Bamboo forest, and more. Driving on the road itself is an exciting adventure, but best leave early in the morning before heavy traffic hits the road. 4. Luau – Experience a traditional luau at the Feast at Lele, Old Lahaina, or the Drums of the Pacific. 5. Turtle Town – Swim with the sea turtles and surround yourself with the exotic water life of Maui. 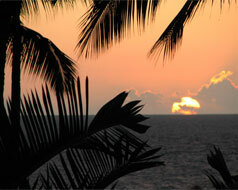 Accommodations: There are many places you can stay on Maui. The following are some of Columbus Travel’s recommended resorts and hotels. For more information on accommodations, talk to your travel agent. Resorts: For those looking to completely relax and to be pampered in every way, book one of these resorts. Condos: For those budget minded and practical spenders out there, these condominiums will give you wonderful service at a great value.